Satan is a parasite and a counterfeiter. Thus, he and his purposes are actually defined by a proper understanding of God and His purposes. 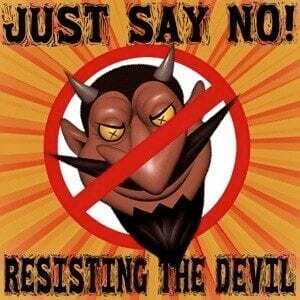 Satan’s character and his purposes are diametrically opposed to God’s. The Devil especially tries to undermine man’s perception of God’s goodness by afflicting the righteous while prospering the ungodly. His deception is geared to obscure both God’s good works and his own nefarious schemes and to confuse people as to the difference between good and evil (Isa. 5:20). Remember that it works to the Devil’s advantage if he can confuse people about God’s goodness. Let’s take Mr. Noah Nuttin, who wrongly thinks that God is in control of both good and evil. Mr. Nuttin knows two people who sin in the same way (lying, stealing, adultery, etc.,—the type of sin does not matter). One of them suffers evil in his life and the other one suffers nothing, or worse, appears to profit from the sin. Is Mr. Nuttin confused about God? Absolutely. Does Mr. Nuttin think that God is a fair and righteous judge? No. Does Mr. Nuttin have an understanding upon which his faith (trust) in God can grow? No. Score another run for the Devil. Mr. Nuttin would not have been confused about the situation had he been properly taught what the Word of God says about the real cause of evil, sin, and suffering. One of Satan’s goals in his seemingly random affliction of people (and his corresponding distortion of God’s written Word) is to make it seem as if God is judging and punishing people now. He wants not only to blind people to God’s abundant goodness, grace, and mercy, but also to convince them that God is unfairly, unpredictably, and almost gleefully vindictive. From our perspective of contemporary Christian theology, he has pretty well succeeded. he,the devil, has also blinded most people to believing the lie that we are an insignificant speck in a universe, created from a big bang hurling through space at over 500,000 miles an hour, orbiting the sun at 66,600 miles an hour while spinning at over 1,000. miles an hour traveling through an infinite universe! HA! Tell me another fairy tale lucifarian NASA! This idiotic theory contradicts dozens of scripture and can be easily be dis-proven by our observation and true scientific tests!